Chemistry’s International Agency, CIA are the international section of the Chapter with the main purpose to make all the international students feel welcome. CIA organizes actives to integrate the international students who studies chemistry or biochemistry. We also arrange events, both together with the associations from the Chemistry Chapter and other Chapters from KTH. CIA also spread information from the other associations in the Chapter so that everyone has a chance to know what’s going on at the Chapter. CIA have a important role to coordinate the reception for the international students, who arrive to KTH at the end of August and in the beginning of Januari each year. 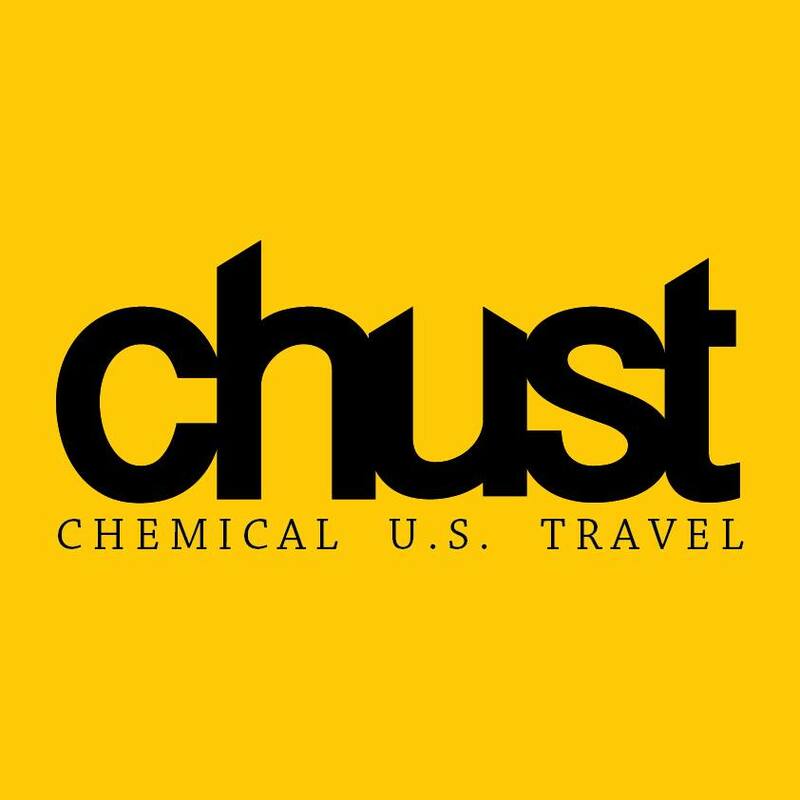 The students at the School of Chemical Science and Engineering and the School of Biotechnology at KTH have in collaboration with the faculty formed the Committee for Chemical U.S. Travel, CHUST, which has been active since 1975. The objective of the CHUST committee is to help Swedish students find summer research internships at universities or companies in an international environment. This gives the students the opportunity to work with interesting tasks, promoting an understanding of chemistry and biotechnology in practice. The students will also gain a rewarding experience of a foreign culture, while helping to strengthen the relations between universities and companies in different countries. Students qualifying for the CHUST program are to graduate with the degree of Master of Science in Chemical Science and Engineering or Master of Science in Biotechnology. The educational program is all together five years. The students participating in the CHUST program have completed three to five years, and have acquired substantial knowledge in the fields of both applied and theoretical chemistry, or biotechnology. CHUST has previously collaborated with universities such as MIT, Stanford University, Princeton University, University of California Berkeley, Brown University and Columbia University amongst others. In this digitalized era, newspapers from across the world have struggled to keep themselves in business. Several years ago the same crisis struck an old tradition of ours, the Chapter newspaper “Kanalen” (eng. “The Channel”), and thus the tradition was lost. Several attempts have been made to revive our old newspaper, and right now such an attempt is being made. The group whose efforts might lead to the publication of new issues of Kanalen are called Hvitterhetsutskottet (from the word “Vitter”, eng. “belletristic”) and can thus be seen as the editorial staff of Kanalen. The staff has a strong bias towards cats and pictures of funny animals in general. We also strongly believe that there are no such things as conspiracy theories due to the absolute fact that they generally tell the truth. HU has an editor-in-chief which has the title C-red in the Chapter. You may send cat pictures to cred@k.kth.se and funny animals to kanalen@k.kth.se. We are Chemistry Chapter's Sport Association, also called Idrottsnämnden (IN). We are responsible for organizing events and activities for all the members of the chemistry chapter! These activities range in everything from traditional ball sports such as football or floorball to more alternative events such as yoga or paintball. During the spring, KTH organizes the THS Championships in floorball, basketball, volleyball and football, and IN will be the ones to set up a team of interested chemistry students. Hopefully, we can be the chapter that walks away with the title of being the best sports chapter at KTH! If you feel that you do not get enough exercise because of your studies, or if you’re just looking for a good time during your time here at KTH, then you can check us out! We hope to see you at our next event! We are the Chemistry Chapter’s Beer Drinking Committee (KÖN). We practice the ancient arts of beer drinking, which in broad strokes is a way to see who the fastest drinker of beer is. Everybody in the Chemistry Chapter is welcome to join us, regardless of their view of beer.We are a fairly new organization and therefore we keep changing and evolving in new fun ways. For now, however, we organize four events per year (roughly one per period): three pubs with different beer-games, and a gasque with loads of beer and beer-related food. Kongliga Kemisektionens Klubbmästeri, or more commonly known as KK is a group of people consisting of about 20 active members and countless oldies who all work for no money at all with the one common goal: make every party in the Chemistry Chapter the best party it can be! When it’s time for the weekly Friday pub, we make sure the fridge is stocked with beverages, the volume is turned up to eleven and let the party commence. Notable events arranged by KK are nØlle, Julfesten and Berzelii, our three-day tribute to the great chemist Jöns Jakob Berzelius, where we invite students from all of Scandinavias chemistry-chapters to join in the festivities. If you have an interest in arranging parties and/or working in a bar, keep a look out for our application-forms. There are two application periods per school year. To summarize, KK are a group of people passionate about creating a good, positive atmosphere around the rigours of student-life for no monetary compensation. Krexet is a theater association based on a student tradition called "spex". It is a form of interactive theater where the audience can be part of the story on stage. However, Krexet is not a traditional spex. We try to develop our characters and create stories with more depth. We usually describe Krexet as being 70% theater and 30% spex. Krexet has something for everyone, in our organization you can do everything from acting, dancing and singing to costume making, sound and light technology and PR. Krexet are a big organization of around 50 members, so if you want to make new friends, Krexet is something for you! We perform twice a year, in spring and in autumn. In English roughly translated to ”CHEW” (Chemistry’s Honoured Eating Workshop), KÄKA is an association founded on a passion for food as well as a desire for sharing it with friends. We are what we call a “cooking workshop”, we hold regular events where CHEW members and guests alike are welcome to cook, eat, learn, and have fun together. The foods we cook aspire to be tasty and nutritious as well as cheap and charmingly student-like (usually with both meat and non-meat alternatives). CHEW is always curious and exploring so we welcome all foodlovers, regardless if you want to cook or just eat. We give an especially warm welcome to international students to join in on the fun and enrich us both culturally and culinarily with new friends and recipes! Liganderna (The Ligands) like to be creative and brainstorm together to come up with stuff we want to do based on our different interests. Then we carry out the best ones in temporary projects. It is only our imagination that limit us and we think it is especially fun to do things that has never been done before! What about outdoor cinema or Killergame? So far we have had fun events, such as board game events in Draget called Dragspel and we have shown the Christmas adventcalendar in Draget. Liganderna gives an opportunity for all members to try out different types of tasks in the chapter by helping the other associations and also by carrying out our own projects. We love to cooperate with others! Paparazzi is the photography club at the Chemistry Chapter. We take photos, make films and we document everything fun happening. You can recognize us as the people in yellow lab coats with a camera in hand. Of course we also like to share the photos that we take, and we usually post photos on Facebook. We only post the good pictures, of course, but if you still feel uncomfortable being photographed by us, you only have to let us know. The photos can be found on the Paparazzi Facebook and Instagram page. If there is a specific event that you want us to photograph, just send us a request at papa@k.kth.se. Smile for the camera! Revisorerna (the auditors) chosen by the SM to represent the interests of the Chapter members against the Chapter Board and make sure the Chapter is run per the law, the Regulations and the By-Laws of both THS Central and the Chapter and the decisions of the SM. We also regularly look through the accountings of the Chapter to make sure everything is in order. If needed, we also advise members of the Chapter on how to interpret the Regulations and By-Laws if questions or ambiguity arises. "SOFT is an acronym which roughly translates into "The Chapters Official Trio of Fixers". It consists of three individuals, the Head of Chapter Hall and two more members. Together we fix various things such as the cleaning schedules, arrange annual cleanings of Draget and make sure that all the equipment and consumables needed for maintenance of the premises are available and in stock. If you see anything in the Draget that is broken or if it is just very messy, send an email to us on soft@k.kth.se or lokal@k.kth.se"
Our chapter is a democracy, and as such all decisions go through the members’ approval. The Chapter Meeting is equivalent to the Parliament. Four times a year all members of the Chemistry Chapter are summoned to a large meeting where the chapter’s future issues are brought up and discussed. 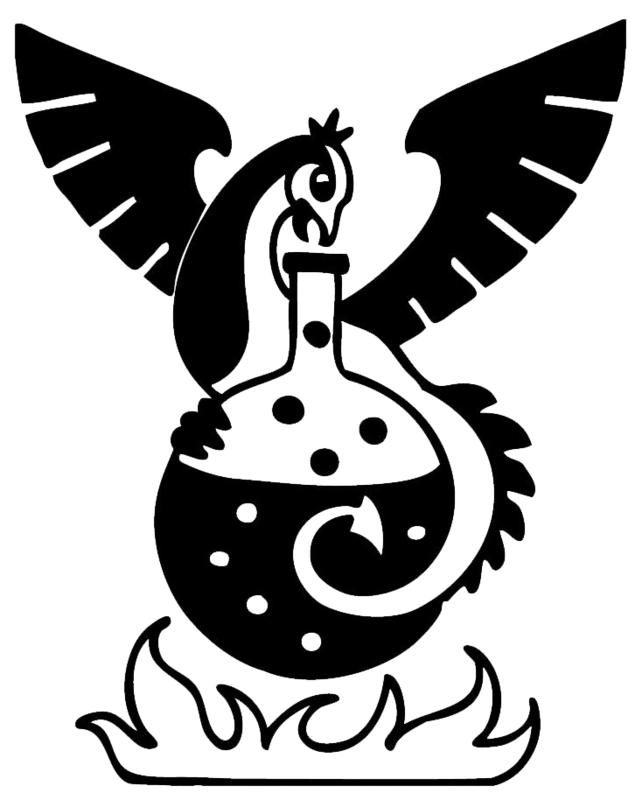 In order to make the Chapter Meeting as interesting, smooth and accessible as possible we have a group called The Speaker’s Presidium (Talmanspresidiet). They take care of everything from putting up posters and informing the members about the motions before the chapter meeting to leading the meetings and handling the meeting protocols. The Chemistry Chapter’s Technical Comittee (TUT) is a brand new organization that was created in order for the enthropy surrounding the Chapter’s technological assets to be controlled. Seeing as the organization is so new the outline of it’s tasks is still unclear, however, the main goal is for the technical assets to be in good condition and available for the Chapter’s members’ use. The Student Union Council (KF) is THS highest governing body, and consists of representatives from all the union to reflect the members’ views. Above all, the council decides on THS policy, strategic direction and elects the Union Board and other THS officials. The Student Union Council consists of students from every chapter of THS and the meetings are open for all members to attend. Elections to KF are held every spring for the following school year, and each THS member can stand and vote to elect their representatives in the election. The Committee of Foreign Relations (UK) is the group that handles and maintains the Chapter's national and international connections and relations. UK invites the guests to Chapter events and coordinates their reception and the logistics needed. The Chemistry Chapter is a large and committed organization that we, the members, operates and develop together. The Chapter is made up by many different associations where different interests are offered a challenge, and together all these associations contribute to the great community that the Chemistry Chapter is known for. The goal is that everyone should feel welcome and that there should be something for everyone! It is the Nomination Committee that receives the applications for being the responsible person in an associations. The Nomination Committee administrates the applications, conducts interviews and then comes with a statement for each candidate. This becomes the basis for the elections during the Chapter Meeting. The Nomination Committee evaluates, the Chapter Meeting elects! The Nomination Committee this year consists of the President of the Nomination Committee as well as seven members. A new Nomination Committee is formed every spring. You’ll have the chance to get a good insight in the Chapter in a fun way, meet people from other grades and influence the future of the Chapter together!